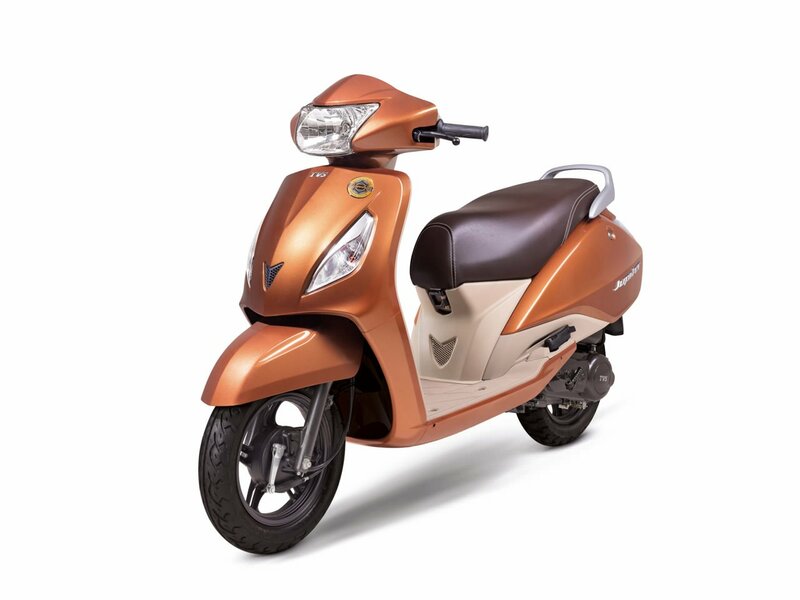 TVS Jupiter completed one year in the market and hence to celebrate successful one year TVS has launched a special edition of Jupiter scooter. The special edition is available for limited numbers and limited time with immediate effect. TVS Jupiter was always seen in matt finish colours, so TVS motors has chosen to give ‘Stallian Brown’ metallic body colour. Light Beige color plastics on inside and beige color on the exterior will make this scooter more appealing than the earlier one. The special edition also gets a badge on the front and rear of the scooter. Another added part to special edition is its seat. Available in dark brown colour the seat will not heat up much when exposed to sunlight for a long time. TVS Jupiter is powered by a 109 cc four stroke engine that produces peak power of 8 bhp and peak torque of 8 Nm. These figures are very similar to Honda’s 110cc engine. The engine is mated to the V Matic CVT transmission. Optimized for city conditions, the engine output is well tuned for fuel efficiency. The engine is mounted on high rigidity under-bone type frame and is well balanced even though with its offset mounted. The company claims mileage of 62 kmpl under test conditions, but only when one can ride like that. A decent fuel economy of 45-50kmpl is realistic figure that this scooter gives per liter of fuel. A few innovative things that we see from TVS are fuel filling cap at the rear end above the tail lamp unlike under the seat fuel cap and the pricing.